Kevin “Polar Bear” Rudi (New Mexico State 2011), 27, died on Nov. 12, 2014, from sarcoma cancer. Surrounded by his close family and friends, he died in his home in Albuquerque, N.M.. Born Sept. 17, 1987, in Sacramento, Calif., to Diane and Iver Rudi, he grew up with two older brothers, Curtis and Nolan Rudi. Kevin graduated from New Mexico State University in Las Cruces with a bachelor’s degree in accounting. Having the strength to lift and support his flier using only one arm, Kevin joined the cheerleading team at New Mexico State. He was honored to be elected twice as the Zeta-Gamma chapter’s treasurer and once as an Executive Committee member. As a member of Zeta-Gamma, he was crucial in helping secure numerous sorority competition trophies, a couple of Greek Week titles, three consecutive Greek Sing championships, numerous national recruiting recognitions, and the prestigious Grand High Alpha award. 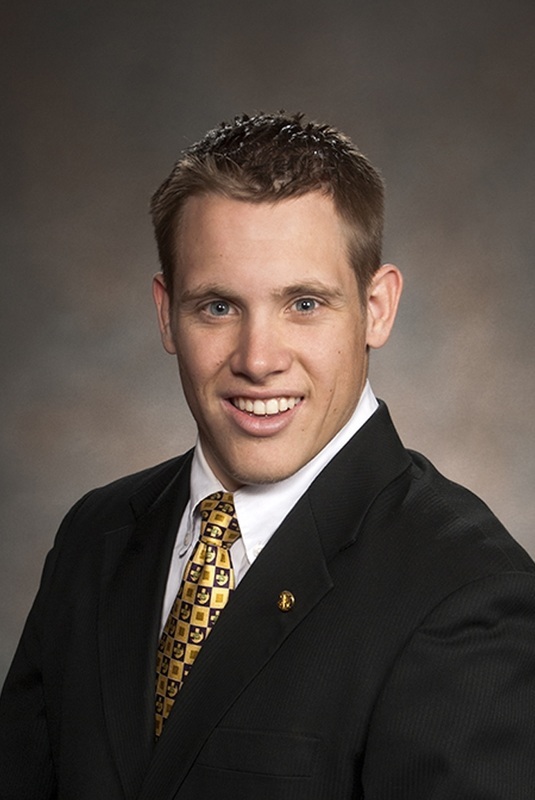 Kevin even worked a summer as an intern at Lambda Chi Alpha’s National Headquarters in 2010. He went on from college to work as an accountant for Mega Corp, an equipment manufacturing company, in Albuquerque. He also participated on a university rugby club, The Chiles.His thorough understanding of the stock market as owner/CEO of White Bear Investments allowed him to purchase his first fixer-upper home in Albuquerque. With the help of family and friends he turned it into a palace. Kevin traveled the nation in his battle against cancer. His stops included Houston, New York, Denver and Albuquerque. He is survived by his grandparents, John and Gayle Wilson, and Percy and Virginia Haugen “Rudi”, and his two best friends Brother Matthew “Chewy” Duran and childhood friend Kory Robertson. A memorial service was held on Sunday, Nov. 16, in Albuquerque and was attended by hundreds of friends and family and more than 50 of his Lambda Chi Alpha brothers (with many more who couldn’t make it sending their condolences).